During a recent conversation on Black America, I was frustratingly told by the black male I was conversing with that people of African descent are doomed in this country. He referenced the “ghettoes” where so many Black Americans live, the mass incarceration of black males, and the disenfranchisement of black men in particular from corporate and entrepreneurial areas. He finally suggested that blacks should become more global, and that many should leave this country altogether and go live somewhere else. I can’t help but be optimistic, but I do wonder if many people in the Black community feel that individually we lack the discipline to control ourselves sexually, and make rational, responsible decisions about producing children as part of a stable family unit. At screenings of my documentary film “On My Own,” which explores the epidemic of black single motherhood and broken black families in this country from historical and social standpoints, I sometimes hear statements of out-and-out defeat during the Q & A segment of the program. When I look back on those comments, the responses make it clear that some African Americans feel that the pattern of absent fathers in Black households is so long-standing and deeply-rooted that prospects for resolution are bleak, to nil. We all are aware of the problem and of its magnitude and ramifications, but too many of us seem to have thrown our hands into the air and just given up. That will get us nowhere. Recent Census data and other research have proven that we can reverse these trends if we continue taking aggressive, positive and proactive community measures. Lowering rates of single motherhood, for example, will provide a stable environment for childrearing and a healthy example for children to follow as they grow and mature. We all know that the family is the basic social unit, and that a weak family structure leads to a weak community. Loving, caring, nurturing parents foster loving, caring, and nurturing children, who carry those traits with them throughout their lives, and use them as both bedrock and stepping stones as they enter into personal and professional relationships, open businesses, enter public service, and myriad other social activities. As they succeed, they help uplift the socioeconomic status of fellow Black Americans by tearing down barriers and being positive role-models. 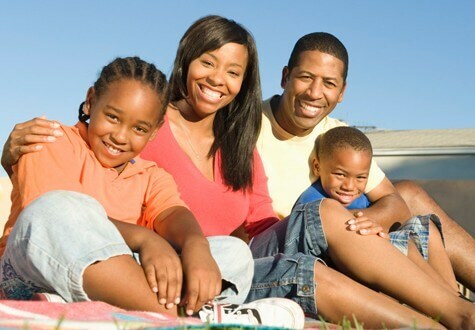 The black community can turn our family dynamic around. Positive change has already begun. The National Campaign to Prevent Teen and Unplanned Pregnancy released data announcing that black teenage pregnancy among 15- to 17-year-olds is down by 52 percent, and down 36 percent among 18- to 19-year-olds. In addition, the Urban Institute has reported that between 2007 and 2012, births among black millennial women dropped by 14 percent. In fact, it decreased among all races. Hispanics saw the largest drop at 26%, and for white women, there was an 11 percent decrease. Study participants cited financial challenges and being unmarried, and not careers, as the reason for pushing back motherhood. I believe the biggest progress we have made is found in the simple acts of admitting that there is a major problem, and acknowledging that fathers are needed in the home just as much as mothers are. We are openly and honestly talking about it, and that’s innovative and progressive. Black males remain an issue, and unrelenting focus must be placed on promoting marriage and fatherhood, and sexual responsibility, through mentoring and national black dialogue. The next step is for all of us to educate the younger generations on the importance of an intact family and solid-as-a-rock participation by both genders in the home. Black single mothers, the largest group raising black children, must take the forefront in educating their children on the importance of healthy marriage and sexual responsibility. Black leaders, and governments at all levels, must combine forces to help repair the extreme damage that has been done by external societal factors, including slavery, the 1960s outsourcing of factory jobs, discriminatory welfare practices targeting poor black mothers, and the 1980’s crack/cocaine epidemic. People of African descent have a long and successful history of overcoming historical and social adversity. Fixing the broken black family must remain in our social crosshairs at all times. We are a strong people, and we can do it. To purchase a copy of “On My Own” click on the link below: http://store.yourblackworld.net/collections/video/products/on-my-own-dvd.